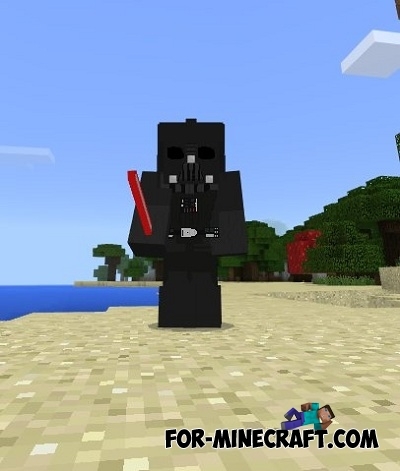 Try typing Star Wars in the search on the website and you will see a lot of mods, maps and skins for Minecraft PE. But you will not find the addon allowing to turn into one of the main villains of the galaxy - Darth Vader. He is the embodiment of evil in a dark guise, his power is great and no one can stop him (except for one character of course). 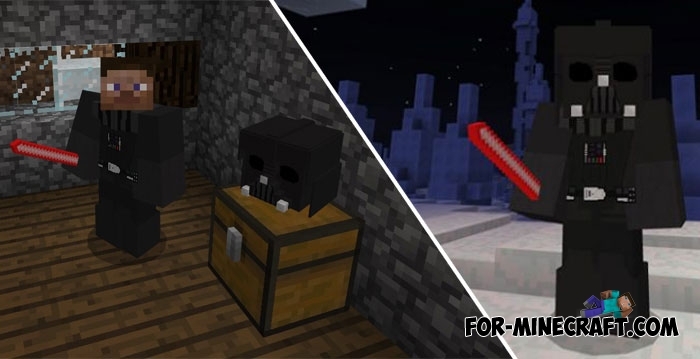 You will need a Darth Vader's suit and his helmet to become an evil person. For a full immersion in the role, do not forget to get a lightsaber. The suit gives different bonuses increasing speed and improving health. If you want to meet the main characters of Star Wars, the droids and the technique then you need a more extensive addon under the simple name - Star Wars addon.